Although there seems to be a common perception that scientific discoveries contradict the Bible, actually just the opposite is true. Instead, the things we have learned about the origin and development of the universe overwhelmingly agree with the biblical story of creation. Details about the history of the earth agree with the order and the events described in Genesis as discussed in previous posts Genesis and Science Reconciled and Unlocking Genesis One, for example. Yet within this clear overlap between science and Scripture in so many areas, there seems to me to be one issue that produces some friction between what science has discovered so far and a straightforward reading of the Bible. That has to do with exactly when Adam and Eve lived, if they were the only two humans alive at the time, and how all of humanity is related to them. In previous posts I have affirmed that current genetic evidence shows that all humans are related to a single male and single female and that I believe it is possible that within current scientific knowledge that couple lived about 50,000 years ago and were the first two humans and the genetic ancestors of all humanity. 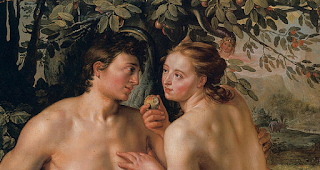 Then in my most recent post I discussed four other possibilities for who Adam and Eve were. In this post I will summarize these views and categorize them according to archeological and scriptural consistency. So let's first label and briefly review each of the five views (which I have consolidated into four views below). Ancient Traditional View: In my previous post this was called the sole-genetic progenitorship, that Adam and Eve lived about 500 to 700 thousand years ago and were the genetic ancestors of all humans and also of all other close relatives of humans like Neanderthals and Denisovans. Modern Traditional View: In my previous post this was called the genetic-interbreeding progenitorship, that Adam and Eve were the genetic ancestors of all humans and that some of Adam and Eve's ancestors interbred with non-human species. Most scientists would say this would have to be about 200,000 years ago. However, my proposal that this could have been as recent as 50,000 years ago would also fall within this category. This view would be held by Reasons to Believe, a progressive creation organization that would affirm Adam and Eve as God's special creation with no evolutionary ancestors. 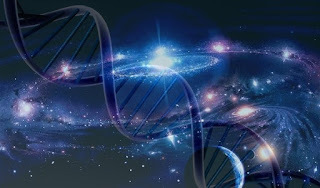 Genealogical View: In my previous post this was called the sole-genealogical progenitorship, that Adam and Eve are the genealogical ancestors of all humans and could have lived as recent as 6000 years ago, but were not the genetic ancestors of all humans. Federal View: Adam and Eve could have lived as recent as 6000 years ago and were a representative couple among a population of humans. They are not the genetic ancestor of all humans and not necessarily even the genealogical ancestors of all humans. For each of these views I will comment on a few things. First, I will simply state whether or not that view allows for the traditional understanding that Adam and Eve were the genetic ancestors of all humans. Second I will state whether or not the view allows us to all be related to Adam and Eve through our genealogy. Finally, I will comment on what seems to be a major problem with reconciling the biblical record with the archeological record, which is that the culture of Adam and Eve in the Bible seems to coincide with human culture that emerged about 10,000 years ago including cities, agricultural, domestic animals, and other elements of modern civilization but does not seem to coincide with how humans lived before that time. The Ancient Traditional View does establish Adam and Eve as the genetic and genealogical ancestors of all humans, but seems to have significant problems. The time-scale is far before any development of modern civilization or even of modern human behavior and within this view all human-like creatures over the last 600,000 years or so would be descendants of Adam and Eve, and therefore, most likely spiritual beings including Neanderthals and Denisovans. The Modern Traditional View fits most easily into the traditional view of who Adam and Eve were, for it does establishes that first couple as the genetic and genealogical ancestors of all humans. Most scientists who adhere to this view would place their existence at 200,000 years ago, which creates some friction with current estimates of when human behavior and modern civilization developed. However, some scientists who hold this view claim that there is evidence that modern human behavior was starting to develop at this early date so that there is no tension between the biblical description and archeological discoveries. My conjecture is that maybe the genetic evidence and the archeological evidence will eventually all converge to the same date about 50,000 years ago and that this view will easily fit all the evidence, both scientifically and scripturally, and would naturally uphold the traditional view of Adam and Eve. The Genealogical View does not present Adam and Eve as the genetic ancestors of all humanity but does have them as the genealogical ancestors of all modern day humans. This view could easily have Adam and Eve exist within the currently accepted time-frame for human civilization about 10,000 years ago or less. It would basically fit the biblical genealogical record, but it requires that for some (or most) of human history there were many humans in existence who were not genealogically or genetically related to Adam and Eve as depicted in the chart in my previous post. Finally, the Federal View does not present Adam and Eve as the genetic ancestors of all humanity nor necessarily as the genealogical ancestors of all modern day humans. It does, however, allow Adam and Eve to live at any time including the last 10,000 years or so after humans had developed modern civilization. Every view above, with the possible exception of the Modern Traditional View, has some apparent tension with either archeology or the traditional scriptural view of Adam and Eve. I personally prefer and hold to the Modern Traditional View precisely because it does seem to best fit both the scientific and scriptural evidence. 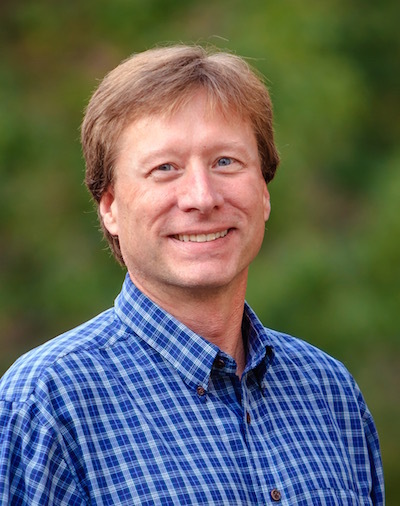 As I stated in my previous posts, all of these views could be held by progressive creationists who believe Adam and Eve were supernaturally created with no evolutionary history, but they could also be held by evolutionary creationists who believe Adam and Eve were the result of an evolutionary process most likely guided by God somehow. Within these various options about Adam and Eve the last two views presented do create some theological and biblical question that remain to be discussed. Is it biblically possible for Adam and Eve to not be the genetic ancestors of all humanity? If Adam and Eve are not our genetic ancestors, how did the fall of humanity affect all humans? If they are only our genealogical ancestors how did their sin affect humans who lived but were not their genetic ancestors? These theological questions will be explored in the next blog post. I find the MTV compelling. It seems to fit what science presents. The painting "Cain Fleeing before Jehovah's Curse", by Fernand-Anne Piestre Cormon, c. 1880 that hangs in the British National Gallery is the tragic picture that would result from the fall and passed to all subsequent generations. The only way traits and characteristics are passed is genetically. Next post will be of interest. The church has Adam wrong. It pains me to see them contorting evidence from the natural universe into pretzels in order to avoid going back to the scriptures and re-considering what they actually say about Adam. There is a lot of theology about early Genesis in the church which simply isn't in the bible. Yes he was a federal head, as a figure of Christ (ROm. 5:14) He ought to be because that's what Christ is. As to what happened to mankind, it was the same thing that happened to Adam and Eve. Innocence was lost. Accountability was begun. They wanted to know for themselves what was good and what was evil, and no sooner did they get their wish than they discovered that THEY were evil.